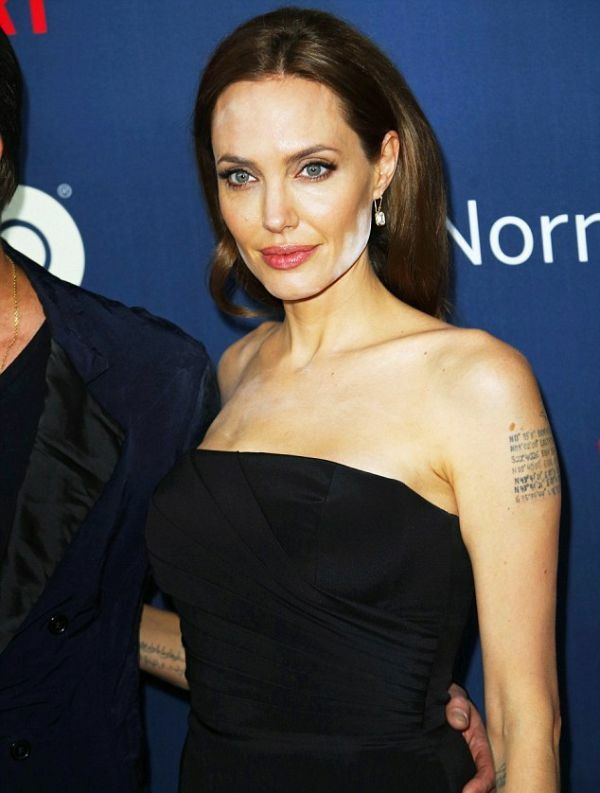 Looks like Angelina Jolie had a pretty big mishap with her makeup recently. It's too bad because Angelina usually looks good in anything but this is just a look that she can't seem to pull off. I once heard about a make-up powder that was really well liked for regular lighting but turns almost reflective when strobes hit it. She was probably a little sweaty and had to use the powder to make her face/chest less shiny. I'm going with someone touched her face while cutting a line of cocaine. Coke, coke, coke and more coke. That's it. what's with Brad Pitt? Will he age someday? He looks exactly like ten years ago!!! She wouldn't have been able to see the powder, only the camera's intense flashes would show it up, it probably has an spf in it which pretty much glows under a camera flash. She did this at a few other events, her makeup artist right now needs a lesson on blending.